As part of that, the center offers a variety of services to help students combat stress. One of those is art therapy. In the past, Beach Balance provided the service a few times each semester. Now, however, students can take part in art therapy every Tuesday by either signing up through BeachSync or walking in to the rec center and signing up at Beach Balance’s front desk. In each session, Beach Balance puts out coloring books, paper, markers, crayons and paint and invites students to draw or color. “You are free to express your creativity,” Arita says. 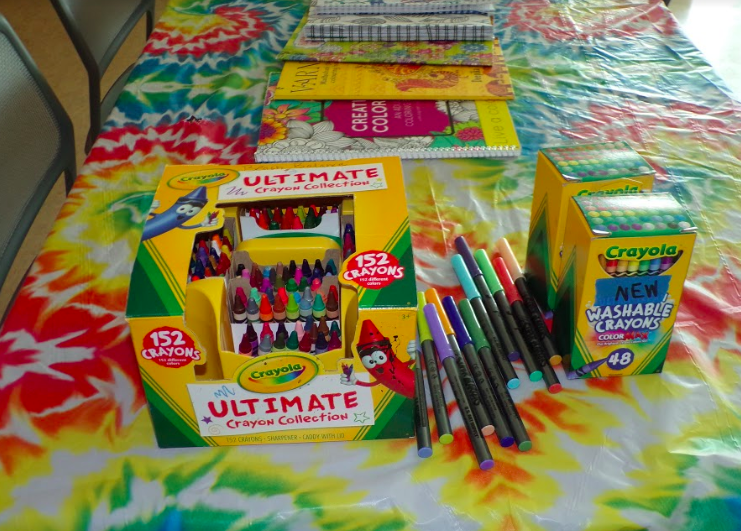 The tools that are given to students to seek the path of relaxation at Art Therapy.